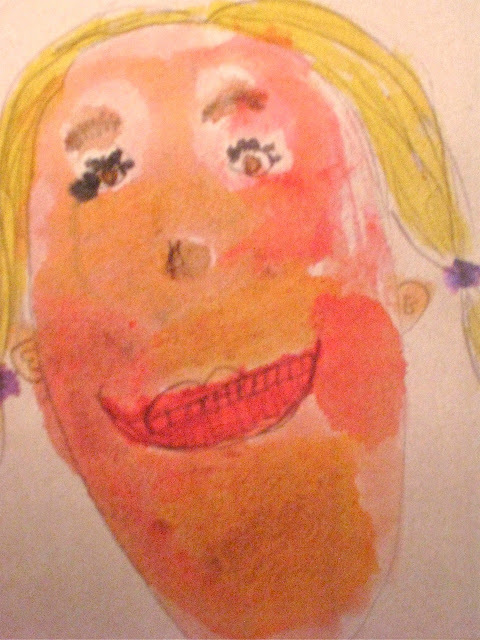 child's details: nose and lips shapes, teeth, eyebrows, skin and hair blended colors, one barrette. Many schools require students to do self portraits a few times during the school year to place into their portfolio as evidence of small motor, facial details, hand-eye coordination, perspective, spatial sense. While this is wonderful on a certain level, it is more so a requirement (and often assessed or graded) and not so much an extended exploration. 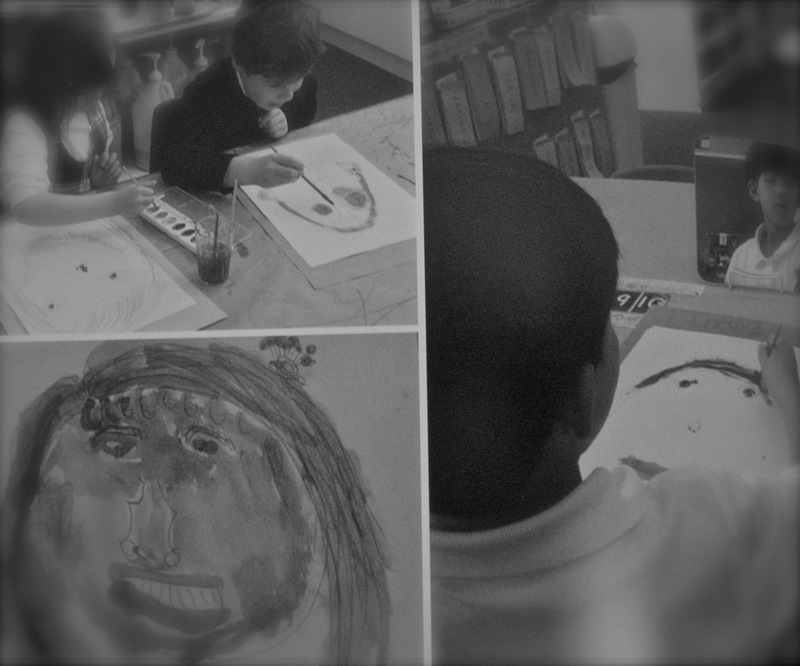 Many other schools offer the idea of portraits to children from another lens. 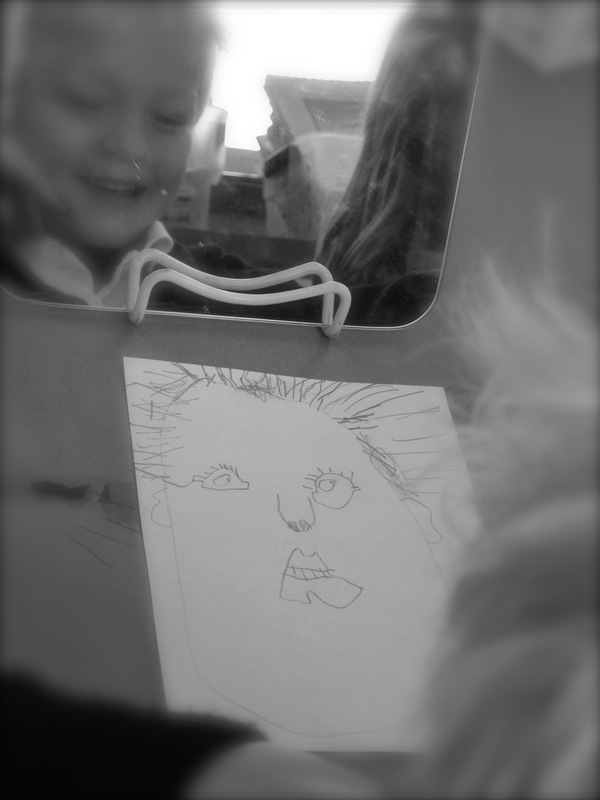 Teachers might offer portrait making for students as a way for them to see themselves from another angle, reflected in a mirror, to try to SEE one's self and then represent it on paper. 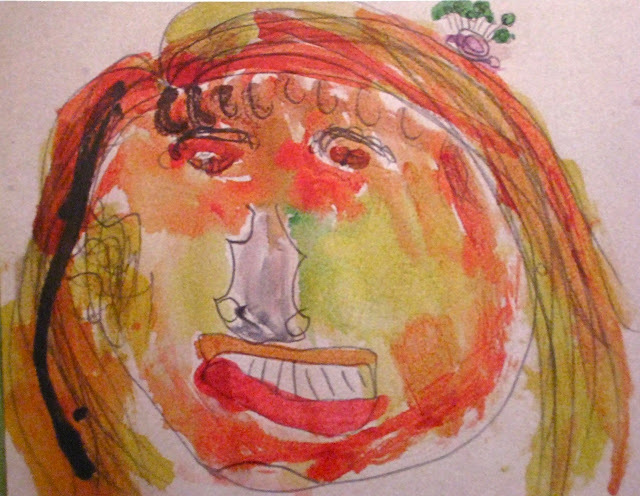 It is an art process and also quite a personal process as there is absolutely no right way to represent one's self - one's face. It is a treasure to offer the experience to children and for them to engage with the materials, the mirror and their own face for the length of time they choose to do so. 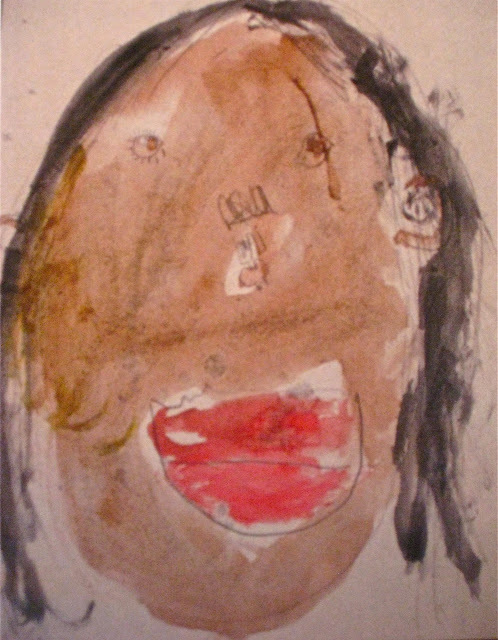 this boy had such fun with his portrait: his hair that day was quite fantastic and he made sure to capture it! the nose is one of the most challenges shapes to draw. 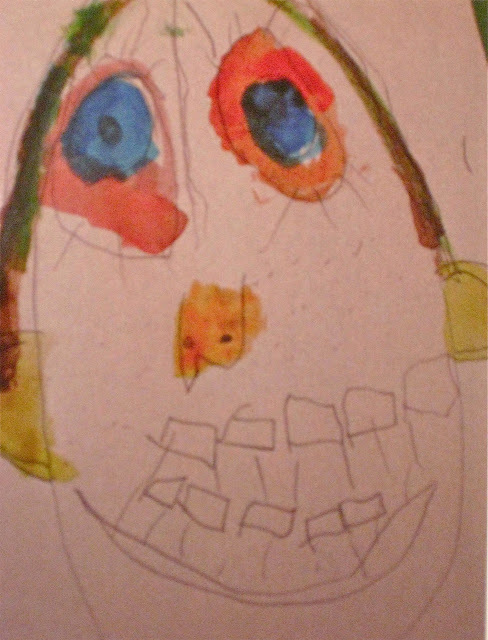 this child used a triangle shape then used circles for eyes. 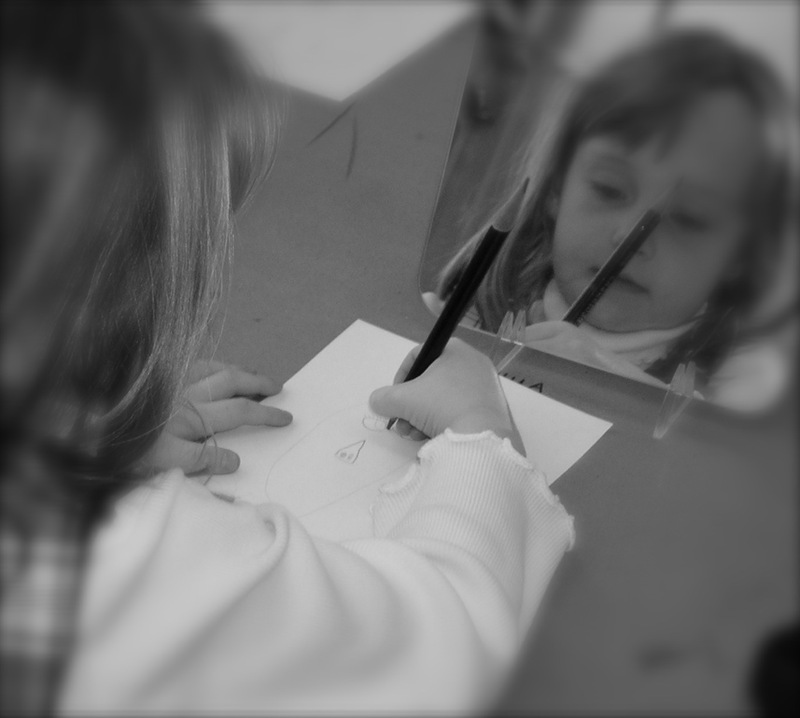 MEETING: before getting to the art tables, handle the mirrors to explore what we SEE. INTRO NEW LANGUAGE: long/short hair, dark/light hair, dark/light skin, eye shape and color and eyelashes, nose shape (this is a big challenge and usually an interesting discussion ! ), mouth and lip shape (also an interesting discussion), ears (do you see yours? ), etc. INTRO how to DRAW WHAT YOU SEE by GOING SLOW so YOUR HAND and YOUR EYE can work together. IF you do not have mirrors, you can offer a color photograph of the child's face. 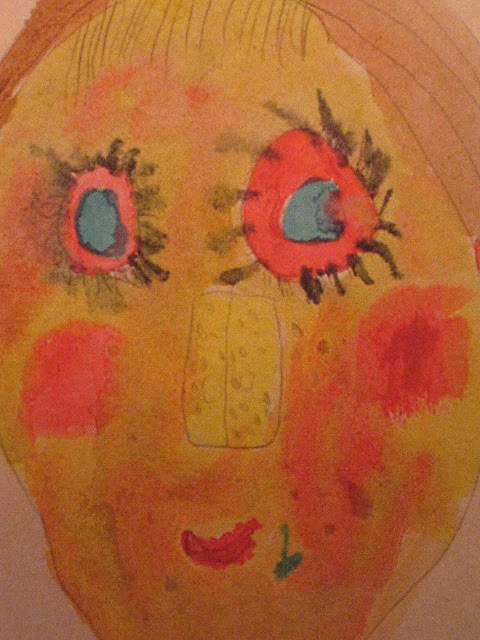 Younger children (2-3), the representation might be a large shape or lines for the head, and some lines or markings inside the shape or around for possibly eyes or a nose. Hair is sometimes fascinating for younger children to try to draw as it is often lines that can curl or curve or go on &amp;amp; on. Working with 4s and 5s and older, the representation will likely have a few more concrete shapes and images that are in close proximity to where they truly are on their face. THERE IS NO RIGHT WAY to tackle self portraits. 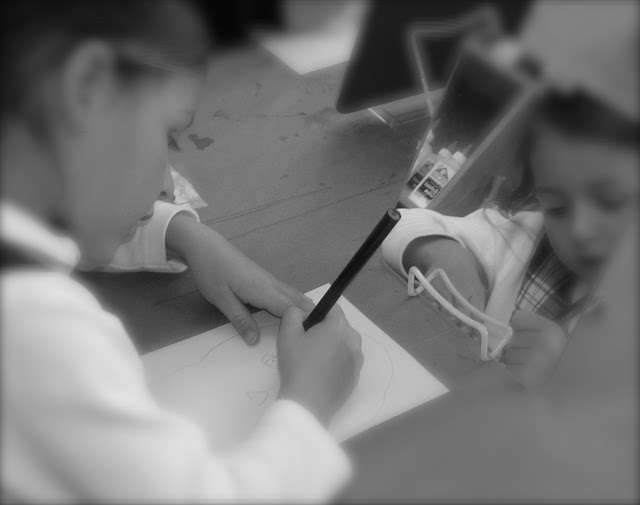 It can depend on your children, their prior experience using art mediums and their interest or ability to stay engaged. 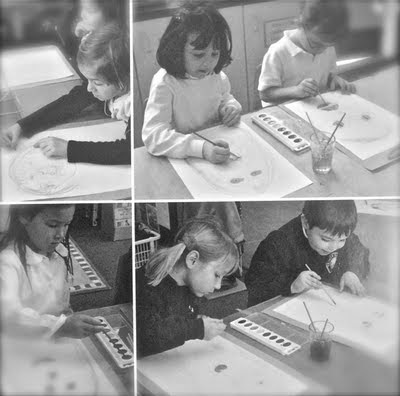 YOU MIGHT CHOOSE crayons, pastels, chalk, charcoal, pen, watercolor...depends on the children and your available art mediums. YOU MIGHT CHOOSE to have a table available for portraits for days and days, not just as a small group experience on a specific day. 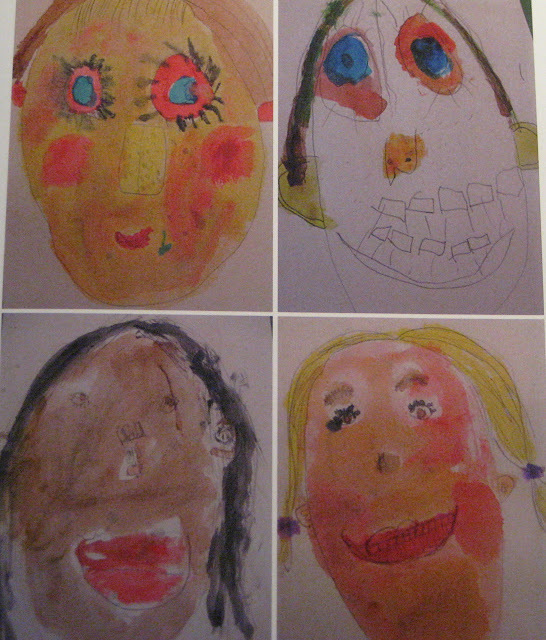 These 5-year-olds were part of an art class where we voted on different things to try each week. 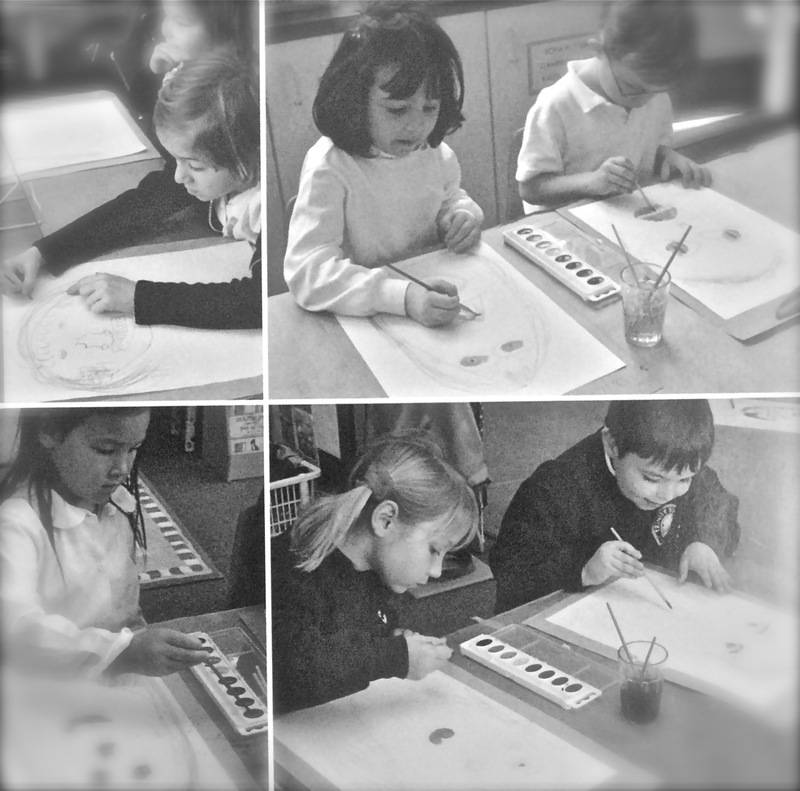 Their portraits took a few visits for their sketch details and then the watercolor layer. The completed portraits were so stunning. The children's personalities were evident in each one. These are wonderful! I love the use of the mirror, the noting of the "skills" assessment, and the tips you share. Thank you so much for stopping by Naturally Educational! I hope you will come add this link to the link-up I will host on Friday as part of the Smart Summer Challenge--we are also giving away "door prizes"! So much is contained in those words "this is me!" Thanks for helping us remember what a process that is! I love to watch as my children's self-portraits progress from dots and lines to recognizable, generic shapes, to something that is totally personal and unique. We should all draw ourselves every now and then! Great post. Glad I found your blog. @Amber June - thanks for finding my blog :) Yes, watching children develop in representational drawing is fascinating and so unique!